This book aims at gauging whether the nature of US foreign policy decision-making has changed after the Cold War as radically as a large body of literature seems to suggest, and develops a new framework to interpret presidential decision-making in foreign policy. It locates the study of risk in US foreign policy in a wider intellectual landscape that draws on contemporary debates in historiography, international relations and Presidential studies. 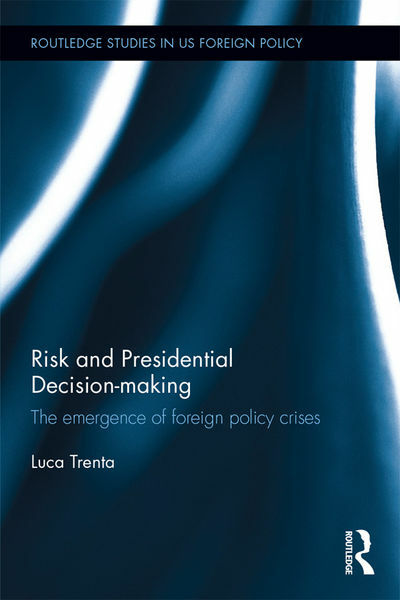 Based on developments in the health and environment literature, the book identifies the President as the ultimate risk-manager, demonstrating how a President is called to perform a delicate balancing act between risks on the domestic/political side and risks on the strategic/international side. Every decision represents a ‘risk vs. risk trade-off,’ in which the management of one ‘target risk’ leads to the development ‘countervailing risks.’ The book applies this framework to the study three major crises in US foreign policy: the Cuban Missile Crisis, the seizure of the US Embassy in Tehran in 1979, and the massacre at Srebrenica in 1995. Each case-study results from substantial archival research and over twenty interviews with policymakers and academics, including former President Jimmy Carter and former Senator Bob Dole. This book is ideal for postgraduate researchers and academics in US foreign policy, foreign policy decision-making and the US Presidency as well as Departments and Institutes dealing with the study of risk in the social sciences. The case studies will also be of great use to undergraduate students.